Replace traditional hard walled metal RF shielding test boxes with new Select-A-Shield fabric walled portable, space saving Wireless RF Test Boxes. Select Fabricator’s flexible RF test boxes cost much less than traditional heavy rigid units and are lined with RF absorbent foam for comparable performance. Select-A-Shield Wireless RF Shielding Fabric Test Boxes weigh less than 3 pounds and are easily disassembled, folded and stacked for storage or easy transport in vehicles or totes. The average attenuation of Select’s fabric walled WTP612 RF Test box is -75.3dB, the same as popular metal boxes, but at a lower cost. The chart below shows how Select’s portable fabric RF/Microwave shielding boxes compare to popular aluminum test enclosures. These fabric test boxes have been designed to isolate wireless devices and systems from RF interference while dampening internal energy for repeatable test results. Standard connectors allow external networking. 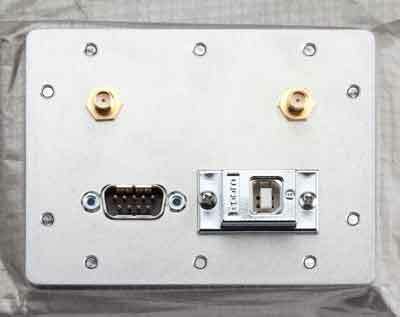 Optional custom connector arrays are available. Select-A-Shield Wireless RF Test Boxes are ideal for cellular carrier’s field testing at cell towers and base stations. These portable fabric and foam RF test boxes can also be used in lab simulations for coverage testing. In the lab environment, including R&D, prototype and manufacturing quality testing, these fabric RF test boxes can be folded and stored when not in use saving valuable space. Semiconductor providers can easily transport these Wireless Test Boxes to test components at customer’s development and factory sites. Select-A-Shield Wireless RF Shielding Fabric Test Boxes are engineered for high attenuation. The exterior fabric walls are NovaSelect™ fabric, US made with conductive silver/copper/nickel RoHS compliant materials. This fabric has an average shielding effectiveness of -85 dB in the range of 30 MHz to 1 GHz and an average -80dB in the 1 GHz to 11 GHz range. All Wireless Test Boxes are lined with ½” thick RF absorbent, carbon-filled foam that yields reflective attenuation of -19dB /cm at 3GHz. 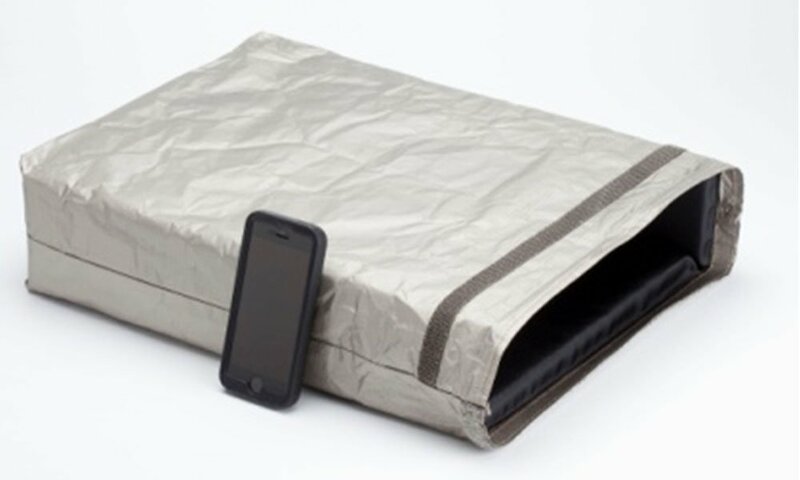 This semi-rigid foam creates a “Faraday cage” type box structure, as well as keeping the conductive fabric walls away from any equipment. 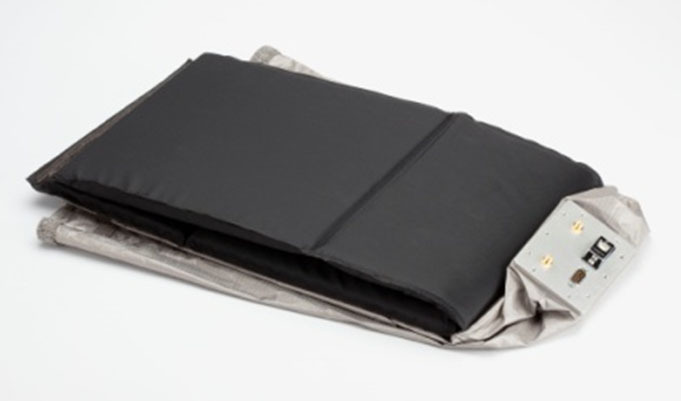 A durable nylon covering protects both the foam and the test units from any conductive material. W x L x H W x L x H lbs. Add the suffix to any WTP Test Box part number, ex. WTP1212-2. Ordering a Select-A-Shield Wireless RF Test Box can be as easy as a phone call. Dial 1-888-599-6113 and enter extension 125 when prompted between the hours of 8:30am and 4:00pm weekdays to connect with a customer service representative. Fill out and submit this form below and we’ll contact you shortly.